Baby boomers have many faces, life styles, dreams, stories, and experiences. Each of us is on a journey. We all have a name. Some of us have changed names throughout our life time. Many married and changed their last names. Others found that people labeled them with nick names which fit their personalities. Then computers came along and we found that it might be a good thing to come up with a catchy name, other than using our real name, for the world to see. Today, I want to change my name again to represent what I feel or what I want in life as a sixty-three year old single, night shift working baby boomer. Friends, like some of you, I am TIRED! Working Boomer is a cute name but it no longer fits. There are articles that I have read encouraging us to work or go to school until we are eighty. I began this thing called WORK when I was five years old. No, I did not win the lottery nor do I have a huge savings account. The truth is just this: I AM TIRED! I eat the healthy foods and exercise. My cabinet is full of the wonderful over 50 vitamins. My hair is not red but I have a nice brown tint that I use now, so no longer am I called Red. My new Grandchild is over a thousand miles away and I have not seen her yet. I haven’t heard from my other Grandchildren in a while so there went Grannie Annie. At night my friends are asleep while I am awake and vise verso when I am home. There went Annie. 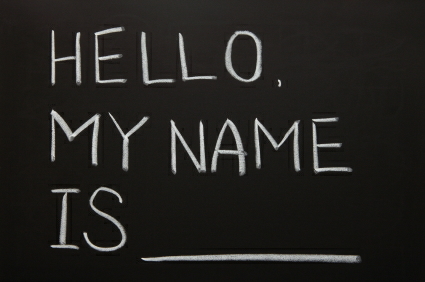 As far as those that call me other names, who cares! That is one advantage of getting older. Things like that don’t bother me any more. Now it is time. Time I say! WORKINGBOOMER needs a name game change! Here is the scoop, Loop! I DO NOT want the word WORK associated with my name unless it is in volunteer work. Did you hear me? I want baby boomer restful, relaxing, fun loving, dream catching, playtime, vacation time, no alarm clock, scoot and boot LIVE IT UP TO THE END boomer LIVING. It is time to play the name game. At least I can make a list and dream when I do get a chance while I wait on an age restricted senior apartment. Here are a few names that I have picked out. Please feel free to help me by sharing some names that you would like to be called for your retirement years. It was fun playing the name game but reality is: No matter what anyone calls me I am still Ann. It is important to not loose sight of our dreams, be grateful for the memories, and always be proud of the name that we have earned during our baby boomer years. If you remember nothing else from this blog, remember how much fun it was to play the name game song when we were younger. Have fun! Try not to ever play the Blame game because the Name game is much more fun! Live, Laugh and Enjoy the Journey!